Vienna was arguably the throbbing heart of world culture at the turn of the last century: Gustav Klimt, Egon Schiele, Sigmund Freud and many other notable scientists, mathematicians and artists thronged the famous Viennese cafes where one can eat superb cakes and drink coffee, beer and wine in comfortable home-from-home splendor. The ghosts of Mozart and Freud still seem to linger when you wander the streets of Vienna at night with its many baroque buildings, cozy cafes and restaurants. Vienna has it all it seems: a wide variety of drinking and eating places, museums, stately homes, theaters, opera, cinemas, concert halls, parks and food markets. 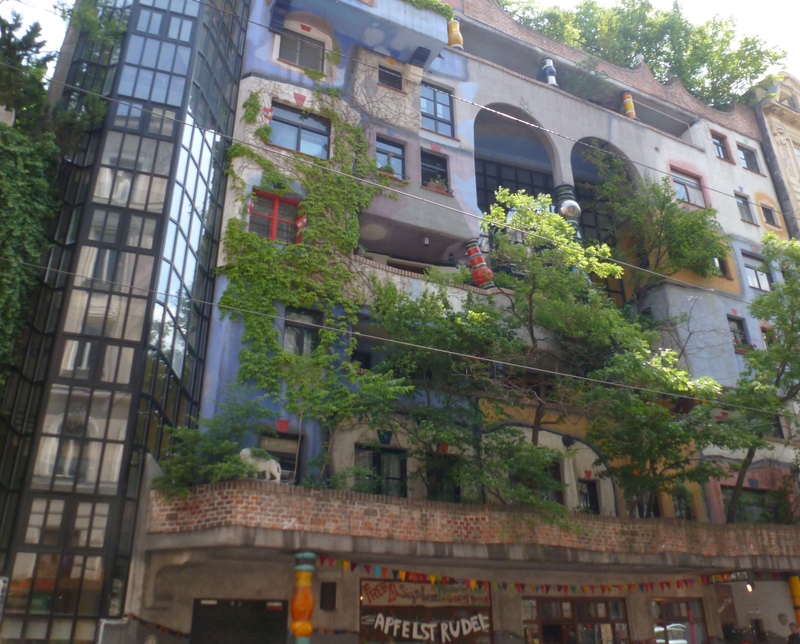 One of the best ways to enjoy Vienna is to “get lost” in the 1st district – on foot, of course. Vienna has a large proportion of immigrants spread all over the city: most are from Germany or Eastern Europe. For all that Vienna has nearly 2 million inhabitants, only a small minority describe themselves as Viennese. They either consider themselves to be Russian, Croatian, German, Hungarian, Polish, Turkish – even if they have lived in Vienna all their lives – or they say they are from Vorarlberg, Tirol or other regions of Austria. At the office of http://www.jugendinfowien.at/ you can pick up a great map with a comprehensive guide of the off-beat and cheaper things to do in Vienna. Though intended for the young it’s brilliant for oldies too! Accommodation can be pricey. Reckon on between 300 – 500 Euros inclusive of fuel bills for a flat share and on between 400 – 600 exclusive of fuel bills for your own small bedsit. Some areas like Vienna 10, 12, 21 and 22 are cheaper than the posher areas like Vienna 1, 4, 7, 8, 9, 13, 19. However, as the public transport is brilliant, it’s not a problem living further out and the food shops and clothes shops are a bit cheaper too. There are several websites with helpful information (see below). Expatcenter is a centrally located office set up by the Chamber of Commerce (Wirtschaftskammer) to welcome newcomers and offer helpful advice. They are a good first port of call if you have any problems (see below). Austrians are bureaucratic, so bring your academic certificates with you. Within a few weeks of being in Austria you need to arrange health insurance and also a “Meldezettel” signed by your landlord which confirms where you are living. To get a Meldezettel you need to show you have a job or enough money to live on. I still don’t understand the complex tax system. When arranging health insurance most people choose between WGKK which is primarily for employees (Angestellte) and “Freier Dienstnehmer” and the SVA which is for the self employed (Selbststaendige). You can end up paying both types of health insurance. Health insurance is expensive and complex. With SVA you pay a minimum of 50 euros a month, but it jumps to over 250 euros if your pay is above a certain level. As a “Freier Dienstnehmer”, 15% of your pay is deducted for health and social insurance. Most language schools expect you to be self employed, but they will inform you their terms and conditions during their recruitment process. If you are employed, and do additional language teaching to adults in Austria, you can receive your pay gross (i.e. you do not have to pay extra health or social insurance). English has become a well-established second language. Most global firms expect their employees to communicate in English as well as German. Postgraduate courses are invariably run in English. Children learn English from 6 years and about half learn a little English at Kindergarten. Most Viennese already speak good English and are keen to speak it. Therefore you must be strong-minded to practice your German. Finding jobs in Vienna teaching English is not easy. This is because so many Viennese speak English anyway and there are so many English native speakers here, perhaps partly because so many are spouses of diplomats from international organisations and embassies (rumour has it that Vienna for years has been an important espionage centre, which makes sense as Vienna is situated in the centre of Europe). Since mid-2014, it has become even more difficult to find English language work here. Pre-2014 the Austrian Government insisted that unemployed take training courses including free English language courses. But from 2015, there have been severe cutbacks on sponsored English language courses. Although there are several English language projects in the Viennese state school sector which required English Native Speakers, there seem to be very few fresh openings here. So right now – in 2015 – there are too many native English language teachers chasing too few jobs. There are some opportunities to work as English Native Speakers in Kindergartens, and there are several summer camps for children to learn English. No teaching qualifications are needed here. There are scores of language schools in Vienna, but nearly everyone I’ve met says that due to the cutbacks, there are less English language courses therefore less work. Having good TEFL qualifications and a few years’ experience is an advantage. Other work possibilities include working for organisations like “English in Action” (based in Canterbury, Kent), BIKU (St Poelten), Native Speakers Network (Bratislava), which offer communicative English language weeks in Austrian state schools. No teaching qualifications are needed. However, the pay is low – typically 400 euros per week, and you won’t be working every week. Possibly the maximum you can reckon on is 8 months per year. Great if you have no fixed abode, but not really enough if you have to pay for long term accommodation as well. Another place one can work is in the Volkshochschulen (VHS) which are adult education colleges. Hourly pay is 19 – 22 euros. Bear in mind that it is difficult and unlikely that you will get full time work here, and that even if you are booked on a course, it can be cancelled the day before if there are not enough participants. WIFI, BFI and “Die Berater” are adult education institutes which pay 20 – 35 euros per hour and require their trainers to take the “Gender Mainstreaming” 1-day course every two years and “Diversity Management” 2-day course every ten years. WIFI, BFI and “Die Berater” have no openings right now, but if you were accepted as a trainer you would probably be able to get them to offer you the courses free before you start. On the other hand, if you reside in Vienna (i.e. you have a Meldezettel) you can claim part payment from WAFF, an organisation which sponsors employees to do training courses. There are several International Schools in Vienna, which require teacher qualifications. To become employed as a teacher in an Austrian state school is enormously difficult. You need to have Advanced German language skills (OECD C1) and the Stadtschulrat needs then to decide if your teaching qualification is equivalent to an Austrian teaching qualification. One criteria they set is that your teaching qualification was for two subjects. To become an Austrian Primary School teacher is even more difficult as you also need qualifications in Austrian law, history and culture. In adult education centres and in several language schools the working day can extend from 8 AM to 9 PM. However, you would not necessarily be working that many hours per week. In a typical Austrian school the school day is from 8AM till 1PM, though some schools offer a longer day. At international schools a typical school day is from 9 AM till 3 or 4 PM. Vienna has a lively expat scene which enables you to visit museums, cinema, theatre, concerts together, or meet people in a restaurant or cafe or bar, or go hiking, or play sport with like-minded people or attend other events. Global internet sites such as Internations, Meetup and YELP are great for meeting international people living in Vienna who usually speak English and Groops.AT is great for meeting Austrians. A useful networking group is TEA (Teachers of English in Austria). There are also many bridge, chess, poker and sports clubs. http://www.wien.gv.at/arbeit-wirtschaft/expats.html Tips for expats by the Viennese Government. http://www.virtualvienna.net A guide for Expats. 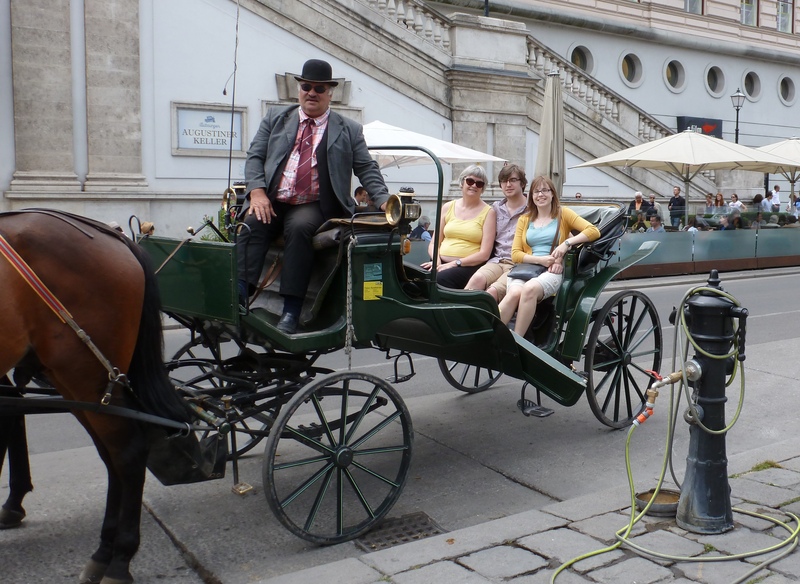 http://www.expat-blog.com/en/nationalities/american/in/europe/austria/vienna Guide for American expats living in Vienna. http://www.visitingvienna.com A guide for Expats by an English journalist living in Vienna. (http://viennabusinessagency.at/consulting . By the Vienna Chamber of Commerce. For Expatcenter Services, scroll down to “Expatriate in Vienna”). http://www.integrationsfonds.at Advice and grants for new immigrants. http://sprachportal.integrationsfonds.at German language portal for immigrants by the Austrian Integration Fund. http://www.facebook.com/foreigners.vienna Community Page about issues faced by foreigners in Vienna. http://www.thelocal.at An English journalist living in Vienna is the Editor for this newspaper. There is a comprehensive Jobs section for English speakers. There are several websites with helpful information on prices e.g. http://www.visitingvienna.com/visitorinfo/prices by an English journalist living in Vienna. http://www.wien.info travel info by the Vienna Tourist organisation with Events. http://www.vienna-unwrapped.com Vienna travel information private blog by a Viennese lady. http://www.jugendinfowien.at Once in Vienna, do pick up their excellent map. If you have any questions for Franziska or also have experience teaching English in Vienna and would like to add some additional advice for prospective teachers please leave your reply in the comments section at the bottom of the page. English teacher living and working in Vienna. Very good informative article. Thank you. If you are an American, you should think twice about Vienna, or Austria for that matter. I have had horrible experiences there, despite having multiple teaching degrees (German and English) and having done everything required of me. There are many Austrians who are not anti-American, but the ones who are in positions of authority are. This is not paranoia, MANY other Austrians have told me that they are aware of this (including a human resources manager who wanted to hire me but was unable). These people will throw away your documents and claim that you did not file them, and then expel you from the country and laugh at you as they do it (not figuratively, I literally caught the last immigration worker laughing after I left his office and he walked out thinking that I was already gone). If you are an American DO NOT GO TO AUSTRIA – YOU ARE NOT WELCOME THERE! Sadly, your experiences mine re my senior age. Unfortunately you are only aware of prejudice or “-ism” when these are directed against you. Others around are oblivious. I have, however, been unaware of any anti Americanism and work in a school where there are three American native speaker teachers, admittedly all married to Austrians. thank you for the extensive description of the job market, it is very helpful. I am moving to Vienna next month and I am planning to look for an English teaching job. I am not a native speaker but I do have an MA in English language and literature and several years of teaching experience. Do you think that me not being a native speaker might be a big obstacle to finding a job? Clearly being a non-native speaker is a minor disadvantage, but if you have an excellent command of the English language, many doors are open. I know several non-native English speakcers who have successful careers teaching English. Good Luck! I’m the author if the above. It has recently become easier to find work. In fact there is a shortage of English Native Speaker teachers registered at the Stadtschulrat as at May 2016. It generally becomes increasingly difficult to find employment if you are older and incredibly difficult if you are fifty plus, although a few places welcome mature English teachers. Can you please give me an update for early 2018 about the hiring situation for an American ( non EU passport). I am between a B2 and C1 in German and would like to take the Celta in Vienna this summer. MA German, some American teaching experience. Please give me the honest lowdown before I get ready to spend about $8,000 plus to fly to Austria, stay there 2 months and pay for the Celta course etc. I would love your feedback and thanks so much for this thorough article. I get the feeling that the work situation became easier in 2016 & 2017 especially if you are young-ish. Unfortunately, for me personally I had extra problems because I was in my late fifties. Now that the Austrian government has become more right wing (ÖVP / FPÖ) I guess that the AMS budgets will get tighter, but that may present fresh teaching opportunities in the private sector.